Supporting local businesses is incredibly important to us at Life Below Canal. We were very excited to hear that women-run Martin Busch Jewelers (which has been in FiDi for over 50 years!) was the recent winner of Downtown Alliance's first Downtown Digital Innovation Grant. The grant offers $10,000 in services to a local, storefront business who wants to develop their online presence and pairs them with an expert to help fulfill their digital needs. Martin Busch Jewelers is a full service fine jewelry and custom design shop. We have continually operated in the Financial District since 1954. My great uncle Martin Busch opened with just a booth on William St. and moved to our current location on John St. in 1972. I currently run the store with my mother Maria who began working here in 1982. What is your favorite part of growing the business in the Financial District all those years? I love this neighborhood! I really couldn't imagine being anywhere else. We have seen this so much change in such a short period of time. Watching this community shift from a business district to a family neighborhood has been incredible. The diversity of the clients we see here is really exciting to me. Now not only do we have customers from all over New York City and beyond who come to the neighborhood to work but we have young families who live here as well. I love the Financial District so much I have chosen to live here myself! I love serving my neighbors. What makes Martin Busch Jewelers so special? I think one of the cool things about our store is much has stayed the same for over 60 years. One of the things that is really important to me and Maria is carrying on the tradition Martin started. He really believed that fine jewelry should be fun and accessible to everyone. That being said the retail landscape has changed dramatically in the Financial District. One thing that has evolved is our custom design business. We have always offered custom design services but in the last 5 years we have seen huge growth in custom designed jewelry and custom re-purposing of family jewelry. In order to meet this demand we have added computer design services and expanded our team of goldsmiths. 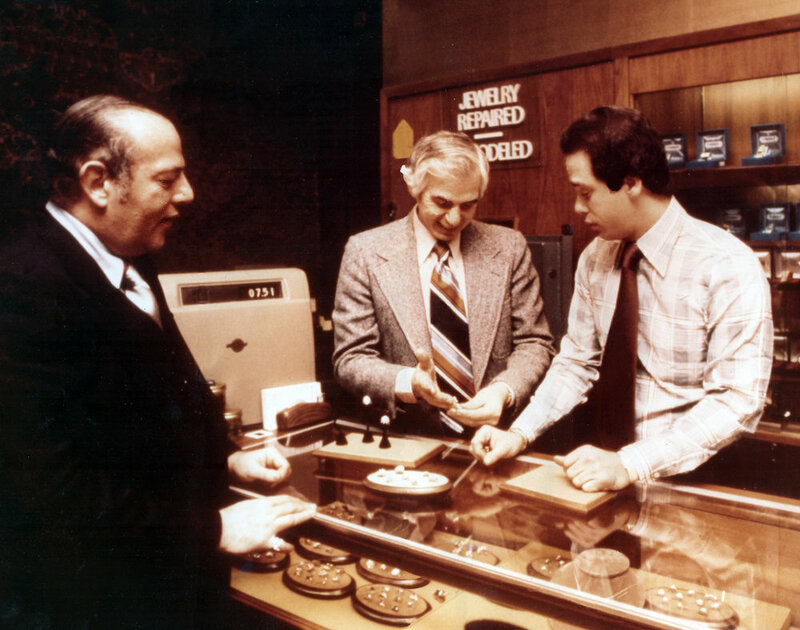 What should locals know about Martin Busch Jewelers? I think the one thing I would want to covey to the local community is how honored we are to serve the Financial District for all these years. I love that we are invited to participate in peoples happiest moments from engagements, to marriage, to the birth of a child, and anniversaries. I am continually grateful for all the support we get from the community. Congratulations on winning the Grant! What are your plans to use it for? This grant from the Downtown Alliance could not have come at a better time. As a traditional local business we have struggled at times with our digital presence. It was my 2018 goal to update our website and allow the public to buy from us online for the first time in our history. This grant is exactly what we need to get there! What is coming up for Martin Busch Jewelers this year? 2018 is bringing wonderful things for Martin Busch Jewelers! Not only are we updating our website and added e-commerce capabilities we have grown our staff. We are so excited about being able to grow both online and in our store!